How Long Does Lunesta Stay In Your System, Body, Blood, Urine? How Long Does Lunesta Stay In Your System? With a half-life of six hours, Lunesta will be out of the system for up to 24-48 hours. However, many factors might affect the duration and elimination of the drug. Dosage, age, and diet can lead to differences in excretion. Note that liver and renal problems can also influence Lunesta and its effects. Will Lunesta show up as a benzo? Although it’s believed that Lunesta can show up as a benzo, some experts claim that Lunesta metabolites don’t break down as benzos. However, polydrug abuse can lead to false positives. Urinalysis can detect Lunesta. To be on the safe side, give yourself a whole week without Lunesta before testing or have a prescription with you. 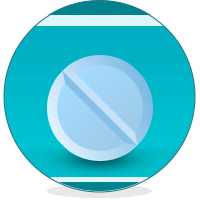 Lunesta or eszopiclone is one of the most used sleeping pills across the U.S. The drug has a half-life of around 6 hours. In general, Lunesta doesn’t accumulate in a once-daily intake. However, you might need between 1 or 2 days to get clean. Like any other drug, many factors influence the effects Lunesta has on the user. Also, as Lunesta is a powerful sleeping pill, one should administer the drug with caution and only when she or he can dedicate eight hours to sleep. Note that meals rich in proteins and fiber can help you clean your body faster. The body rapidly absorbs Lunesta, and then the drug undergoes hepatic oxidation and demethylation. The drug is excreted in the urine. Note that only around 10% is excreted as parent drug, the rest are as metabolites. In some patients with liver and renal failure, metabolism can be impaired. Usually, you’ll need up to 48 hours to get clean. However, some users suggest staying away from the drug a whole week to prior testing. Note that although it’s believed that sleeping pills like Lunesta can give a false positive for benzos, there’s no research data that backs up this belief. How Long Does Lunesta Stay In Your Blood? Blood tests are not standard when it comes to Lunesta. However, note that the peak plasma concentrations occur within an hour after intake. How Long Does Lunesta Stay In Your Saliva and Hair? Swab and hair tests are not used to detect Lunesta. It’s interesting to mention that Lunesta leaves some metallic taste in the mouth of the user. Also, have in mind that hair tests usually have a long window of detection (up to 90 days). How Long Does Lunesta Stay In Your Urine? Urine tests might be used to detect Lunesta. Do not worry, though, As long as you have a prescription, you’ll be okay. Still, as mentioned above, give yourself at least 2-7 days of clean time before testing. Stay hydrated, follow a healthy diet and eat more acidic foods (grapefruit juice can be helpful). Although Lunesta can be useful when dealing with insomnia, remember that the drug can also be habit-forming. If you are struggling with Lunesta addiction, find the best rehab near you here. Do not forget that exercising, yoga and going to bed at the same time every night can help you regulate your sleep. Addiction Resource » Addictive Substances: The Anatomy of Drug Addiction » Lunesta Addiction and Treatment » How Long Does Lunesta Stay In Your System? Lunesta never got me to sleep, but, it did make me air hungry. Anyone hear of that or had the same experience?